High performance automobiles are specifically designed and built for speed. From the engine's carburetor functionality to the external design of tires and wheels, each and every aspect of all vehicle components are constantly evaluated, redesigned, and tested to eke out more speed, power, and efficiency. High performance car parts manufacturers constantly research new technologies for engine operations to contribute to new models released each year and to satisfy the growing market demand for increased performance, quality, and functionality in consumer and after-market vehicles. System and part innovations in this growing niche industry are a prime opportunity for significant Federal and State R&D tax credits. 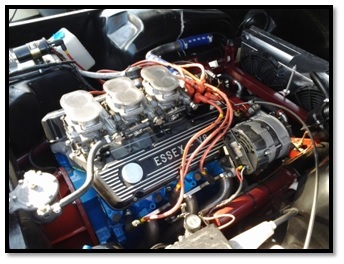 A key developmental area in a high performance vehicle is the engine's carburetor. The carburetor's main function in a vehicle is to mix the right amount of gasoline with air, enabling an engine to function properly. The main problems that can occur is when the engine runs "lean" with not enough air being mixed, and the engine running "rich" which can flood the engine. To improve carburetor performance, the industry is looking to innovative technologies to meet the increased performance and efficiency demands of consumers. Fuel efficiency is a growing concern for consumers, even in the high performance vehicle industry. Fuel injection technology enables increased fuel efficiency and lower emissions, while maximizing performance from the usual fuel amounts consumed by a vehicle. There are many benefits of having a fuel injection system including improved vehicle functionality, cost savings, and performance increase in the consumer's automobile. The fuel injector also functions to filter out carbon and sediment build-up from the vehicle's fuel system. By performing this filtering of dirt particles, the injector system reduces air pollution and improves system performance and emissions quality of the vehicle. Not only do carburetor and fuel injection developments increase power and performance in high-end vehicles, similar innovations are equally applicable to vehicles targeted to the average consumer. The high-performance automobile industry is constantly "pushing the envelope" to develop improved mechanisms and systems, making the companies of which it is comprised prime candidates to claim the R&D Tax Credit. Another automobile component that is targeted for improved performance and quality by the high-performance community is the exhaust headers and manifolds. Through extensive research and development, the performance of header design is continuously improving. An intake or exhaust system is unique because there are many aspects of the overall flow mechanism that can be re-engineered to generate improved horsepower and performance. The following system and part descriptions provide an overview of potential improvements to intake and exhaust systems that are prime opportunities for companies engaged in these development areas to claim the R&D Tax Credit. The exhaust header is an essential engine component because it functions to force gases out of the engine's cylinders more quickly and more efficiently. After the exhaust gases leave the combustion cylinder, they are pushed into the exhaust manifold. A manifold vacuum or "engine" vacuum controls the rate of airflow through the internal combustion engine, which will also determine how much power the engine will generate. The carburetor then adds vaporized fuel to the airflow of the manifold, reaching the end goal of a properly running engine. An intake manifold is one of the key aspects for performance vehicles. To meet consumer needs for high power, a high quality intake manifold is required. In modern engines, sensor technology is used to measure the pressure in the intake manifold. Similarly, in supercharged engines, manifold pressures are generally independently measured compared to surrounding pressure levels. As this pressure level is directly tied to engine power generation, sensor and control technology is essential to the performance of an intake manifold. MaP (manifold absolute pressure) sensors are modern-day innovations that are used to measure the air pressure in an intake manifold. Engineering a more accurate and more reliable sensor system or method in turn increases power generation capability which subsequently improves overall engine performance. 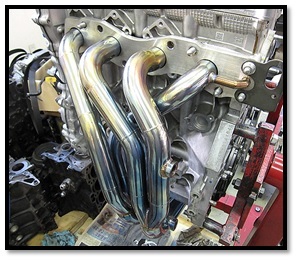 Thermal designs are a major factor in the design of exhaust manifolds because the main goal is avoiding thermal shock. In a high performance exhaust, the exhaust flow, pressure and runner are important factors in deciding what characteristics make up a supercharged car. Engineers must estimate the fatigue life for the exhaust manifold while going through temperature fluctuations, utilizing an experimentation technique known as the "elastic-plastic finite element analysis." Under this analysis, an extended run-time period is analyzed from before and after using a specialized software to simulate the exhaust manifold. The data and real-world results are then reviewed to identify areas of improvement, which the engineers then address by re-configuring the manifold itself. The process for creating an intake manifold starts with the design phase. The intake manifold is critical to how other parts of the engine will function, and, therefore, must be designed carefully and accurately. For high-performance cars, any increase in air flow volume results in increased fuel combustion, which generates more horsepower. As such, high-performance vehicle engineers must identify means and methods to expand the air intake capabilities of manifold in order to maximize the capability of the cylinder head. To improve the functionality of this initial process, Burns Stainless of Costa Mesa, California developed a software program called "X-Design" to model exhaust systems. Specifically, the program is designed to analyze the existing system and identify areas where the system is not functioning ideally. The automobile designer can then utilize this data to re-engineer specific portions of the system, and test them for efficacy. The program produces valuable data that tracks horsepower and torque numbers in all categories and relevant dimensions to target and analyze specific areas and improvement zones of a particular vehicle. Ultimately, the goal of the X-Design software and programs like it is to obtain and organize the data necessary to allow engineers to design an improved exhaust header process to achieve target performance specifications. Though the engineering process may require additional experimentation before the final, appropriate design is achieved, the X Design data is crucial as a starting point to develop improved functionality of the vehicle's exhaust and manifold build as well as the entire engine system. Additionally, not only does the software program provide improvement avenues, but the innovative software project itself is also a prime R&D tax credit opportunity. Two other major custom intake manifold companies include Wilson Manifolds of Oakland Park, Florida and Berry Motorsports of Clermont, Georgia. These companies design custom intakes which usually requires computer aided design (CAD) software to isolate and reconfigure sections and openings of the manifold to improve airflow, as well as discovering problems during the engineering phase, before actual metal is cut for the custom part design. Ultimately, the purpose of these CAD drawings and modeling is to improve the airflow and dimensions on an intake for the given vehicle. 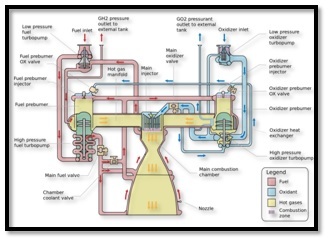 As such, not only the actual prototyping and testing of the experimental manifold design, but also the generation of the CAD designs themselves, and any related revisions are prime opportunities for the R&D Tax Credit. The software engineering process to actually produce the prototype part design also may qualify for the R&D Tax Credit. After a prototype design is developed, the fabrication phase for the intake manifold utilizes CNC technology (Computer Numerically Controlled). A CNC machine will "read a long list of digital coded information from a computer to move the motors and other positioning systems in order to guide a spindle over the raw material the machine is working on." However, any CNC machine requires specific coding for each specific prototype design in order to translate the CAD model into real world fabrication. A engineering programmer must design the initial CNC coding structure, test the program on appropriate materials, and determine if the coding is appropriately designed in order to produce a functional part. 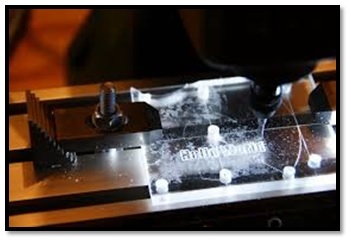 The CNC coding design process regularly involves multiple revisions and configurations before the code properly translates into a workable part that reflects the prototype design as drawn. Often, the CNC process reveals additional challenges that require the engineers to go "back to the drawing board" and continue considering alternatives on the CAD design level. Activities that involve the design and testing of prototype intake and exhaust manifolds using CAD and CNC technologies are prime opportunities for companies engaged in these development areas to claim the R&D Tax Credit. While the performance of a vehicle focuses on internal composition, the tire quality will also increase horsepower and improve the vehicle's response time and surface traction. 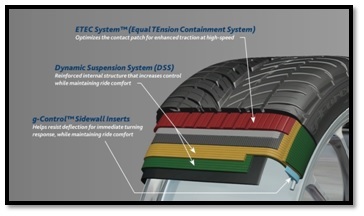 Generally, the goal in developing a high-performance tire is to have a "sticky" tire, meaning that engineers will test different materials, compounds, and tire patterns to increase traction and, subsequently, horsepower. Often, a company can spend up to $1 million in potentially qualifying R&D costs developing a performance tire suitable for high-performance cars. Chemical composition testing, materials testing, CAD designing, and prototype development are only a few examples of experimentation necessary to improving tire quality and performance. Throughout the high performance industry, extensive research and design has been put into developing improved tires for new models of each high performance vehicle, and the benefit of that R&D innovation often is incorporated into stock wheels usually used by consumers. Torque converter technology (TCT) was developed to allow for cutting-edge, custom converters to be manufactured. 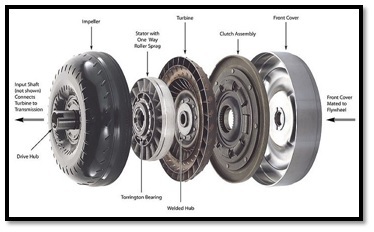 A torque converter is responsible for the transfer of fluid to the transmission that produces energy power to run. A performance car's torque converter must be designed to meet the needs of performance specifications and available space. A well-designed TCT performance converter will improve the overall performance in speed, and quality of a car. Comprised of an impeller, a stator, a turbine, and a torque converter clutch, the torque converter system functions to transmit and control the power generated by utilizing key fluid pressure and physical part interaction. Similar to the intake and exhaust manifold system described above, improvements to the torque converter system and its component parts can also be valuable opportunities for the R&D Tax Credit, including CAD design, CNC programming, and prototyping development phases. To gather the necessary data, a specially designed software program is required. For example, Technalysis utilizes custom PASSAGE®/Flow Software to do flow analyses, which displays results of velocity and pressure distributions and the blade loading diagrams. This software is designed to test a given torque converter and can detect where there may be any errors and test the overall performance level of the components. Though the engineering process may require additional experimentation before the final, appropriate design is achieved, the flow analysis data is crucial as a starting point to develop improved functionality of the vehicle's exhaust and manifold build as well as the entire engine system. Activities that involve the design and testing of torque converters are prime opportunities for companies engaged in these development areas to claim the R&D Tax Credit. Additionally, not only does the software program provide improvement avenues, but the innovative software project itself is also a prime R&D tax credit opportunity. Another high-performance auto part that can be targeted for design improvement and re-engineering are the engine pistons, one of few components that allow some flexibility in the design. Specifically, with performance pistons, potential areas of development include reduction in overall weight, increase in material strength, and overall durability. Similar to the auto part manufacturing process described above, engineers design and prototype pistons using high speed CNC machining and 3-D modeling software. Additionally, materials testing is another essential part of developing a lighter but more durable piston. Further, software called finite element analysis (FEA) allows testing of the piston under many physical conditions such as stress, temperature, or pressure. Activities that involve the design and testing of prototype pistons are prime opportunities for companies engaged in these development areas to claim the R&D Tax Credit. Connecting rods are another vehicle component that is often subject to re-engineering to improve vehicle performance. As its name suggests, connecting rods connect two moving parts of a vehicle, specifically between the piston and crankshaft. Connecting rods, usually made of steel, titanium, and/or aluminum, are critical to the durability and life cycle of an engine, and act as shock absorbers. For example, if aluminum was used as the alloy for the connecting rods then a car is aiming towards boosting horsepower which will enhance the performance of a car opposed to using steel connecting rods. In addition to materials testing and alloy experimentation, engineers design and prototype pistons using high speed CNC machining and 3-D modeling software. Once again, development activities in this area can be qualified toward the R&D Tax Credit. Development of improved high performance auto parts are often constricted by industry regulations. For example, Federal Corporate Average Fuel Economy (CAFE) standards require specific fuel economy whereas high performance automobiles are categorized as "gas guzzlers", and, in the case of the Cadillac CTS-V, consumers incur a two thousand six hundred ($2,600) dollar "gas guzzler" tax. Additionally, high end "tuning" of a car's engine can sometimes result in a vehicle that is not "street-legal" due to fuel consumption and emissions levels. In order to meet both preference and regulation, high performance auto part makers must develop and engineer improved products that increase the intra-engine compression ratio to increase consumption-to-power efficiency. Manufacturers must design an improved system by contemplating available fuel saving technologies, including clean diesel, direct injection, and variable valve timing, and incorporating the workable aspects into a customized configuration that also takes physical space restrictions of the vehicle itself into account. Just as with component part manufacturing improvements, activities related to developing a more efficient internal system that supports the goal of increased vehicle performance can also be R&D credit-eligible. Engine component and system improvements and enhancements are crucial for overall vehicle performance and function. In the American auto industry, there has been an increasing niche market for special equipment. As long as consumers keep buying performance cars, engineers will invest their time to advance high-performance auto parts annually, and the R&D Tax Credit was intended to reward such investment in American innovation, including the high-performance auto industry.